Ca-ri! Ca-ri! CAAA-RI! CAAAAA-RIIII!!!! You stupide fat, agly, lazy, retard, smell, wale! No no Jaro you no pley you make stu for team? No no Jaro, you no came to restorante with teem becase you have breth like corpse. No no Jaro you cant to call me animore becase I not marry you after only 9 days. That is now over, in the past and the past is tomorrow!!! HAHAHAHAHAHHHHHAAAAAAAAAAA. I am king of Disney Land and I'm going to the wooorld!!!! Coch Carbonner aske me before game last nite if want to pley again. He say, Jaro you my hero and Cari is in container in boat to Tibet, ssshhhhhh!!! I say ok coch, it's Jaro time and coch give me super cool hifive. I tell teem that nobady put goal to me, and teem say Jaro you better than Baraka Bama. I sey you stupide guys! I not blek pleyer? I no Larak Obama! And teem laf so hard! Oh Jaro you craaaazy! So I jamp on ice and man with voice like czech toilet sing baby Canada song. Oh Ca-na-da, You such a big Fat Wale. My ears have blad inside. Why no have good song with great singer like TLC? Don't grow crashing waterfals, lalalala. While the song I look up and see the big 33 number and say hey he talk to the net before game and he win mach so now i try! I turn to net and say, Hey you, net, you and me, we have a destiny and we gonna be right. No! Just kidding! I look at to net and say, Hey net, it's me, Jaro. You be good with me today ok? Net, you remind me of my girlfriend in Bratislava. She has bra that look like you, net! Big big bra. Net, you play like bratislava bra today ok? Hold me together, like good bra, ok net? Ok, net, song is over now, so tell evrything I just say you to the posts so evrybady clear ok? Teem pley bad in game. Kovalev not attach his pampers well and he pley like baby who make pee in pampers and cry for two hours but parents too busy becase they putting cocane in nose. Breezer make big mistake and vancouver player come to me with pack and I have to make nobel save, but Breezer so stupide again when he take pack from me on line of my net! Ok, Breezer loser I shoot pack from blue line in next power pley, ok? Fans screem Jaro Jaro Jaro and I screeem Jaro! with them. So mach fun! Vancuver so great teem, almost like leafs of mapel, so i understand why sundineen go to vancuver. Peeple say so much rain in vancuver! Ha! better than snow! snow here is everywere. Especially snow in lacker room and in restorante in bathroom with my new friend pacwale mangiggila, but he say that secret so ssshhhhhh!!!! No gols to put in my net, and coch sey after game, Jaro, we move # 33 a litel to the left. And I sey coch I lav that song too! To the left, to the left, every litel baby in a box to the left, so goood! Cari now in contaner going to tibet and Mentreal Cenedien my teeemm!!!!! And I pley in Fildelfia again and I see my blonde girlfriend who call police when I go to see to her at home at 3 in the morning with candoms and choclate and contract for marry. She will lav me, even after she ask where fat wale is and i say IN TIBET IN CONTANER. HAHAHAHAH!!!! 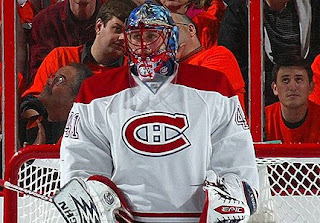 pffff thats halak of modesty. I can't look at Jaro during an interview without smiling. Marry me, 4. I don't even need candoms and choclate and cantract for marry. Some peple tell me Cari ees now lama in Tibet. Haha fat Cari, first you wale, now lama. Seriously though, great stuff though part of me wishes it had more nose candy references. So so mach. Lik statue of mama Halak with baby Jaro sackin on the boobie. Marry ME, HF4:) I loved your post, loved the Beyonce reference, loved the 33 reference, loved it all adn love you lots! That was my fave jaro post of all! Great post. I've been hit refresh I think a million times today waiting for this post. Well worth it! Awesome. I vote for Halak Obama as his new nickname. C'mon Kevin, put some effort into it! If Jaro is not henceforth known as "The Bratislava Bra" I for one, will be devestated. Eez bes number one Jaro postink all time. I make pee-pee in SLC pants of Speezza. Oh, Jaro. You my hero. First there was Jesus Price. SLC - Mike Boone over at H I/O had just been saying that Jaro needs a nickname à la Chicoutimi Cucumber... Bratislava Bra works perfectly, IMHO! LG77: And there we are. You are a woman possessed of wisdom beyond your years. I believe the motion has been seconded. Your move HF4. Word verification: "Forni". I giggle like a schoolgirl. I love the Jaro posts. Went to a funeral service tonight, and I'm really, really glad I read this after the service. Wait, I don't understand... is this the real Jaroslav Halak? Someone call Eklund to get to the bottom of this!